Since the internal system has been improved, we will reduce the maintenance time to once a week. 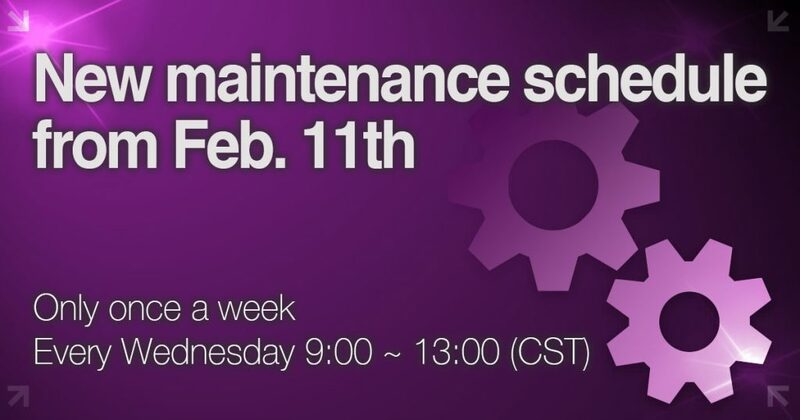 From February 11th, the client will be down for scheduled maintenance every Wednesday 9:00 ~ 13:00(CST). Thank you for playing on J88Poker!